The film is inspired by visions Tate had before her murder. 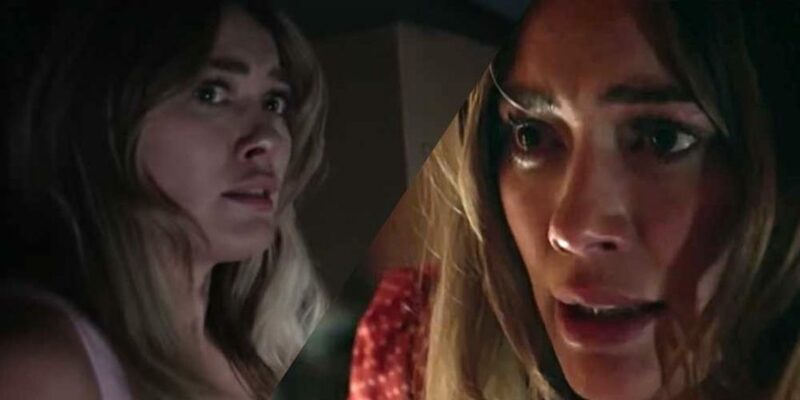 A brand new trailer for The Haunting of Sharon Tate has arrived, giving us our first glimpse of Hilary Duff’s portrayal of the actress and model. Produced by Saban Films, the movie follows the true story of Sharon Tate who was murdered with three of her closest friends on the order of the infamous Charles Manson in 1969. The movie will be shown through Sharon’s perspective, who was heavily pregnant at the time of her murder in Los Angeles. It will cover the deaths of those murdered along with her – Jay Sebring, Wojciech Frykowski and Abigail Folger. Four members of the Manson family entered the home of the married actress while her husband and filmmaker Roman Polanski was away in Europe. The movie’s plot was apparently inspired by an actual quote from Sharon, taken from an interview a year before she was killed. The actress discussed how how she had had a nightmare in which she saw a stranger in her home who attacked them. On that basis it sounds like the movie is going to be much more fictional as opposed to sticking strictly to how events actually panned out. Mean Girls’ Jonathan Bennett has been cast as Tate’s friend Jay, Lydia Hearst as Abigail and Pawel Szajda as Wojciech.